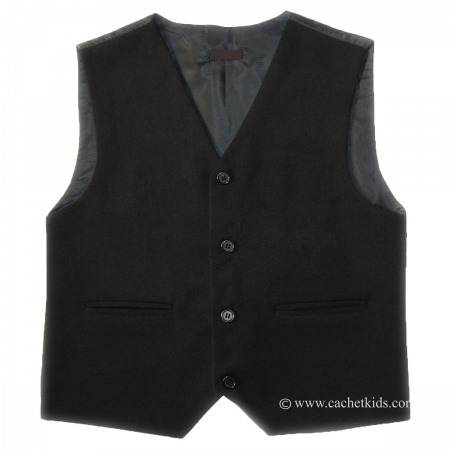 Classic boys black waist coat. Perfect match for all shirts. All measurements are approximation only. The measurements are the actual garments' sizes. Please add about 4" to your boys actual chest measurement to ensure a comfort fit.